We are proud supporters of Multiple Sclerosis & Parkinson's Canterbury who provide professional support and services to people with Multiple Sclerosis and Parkinson’s. 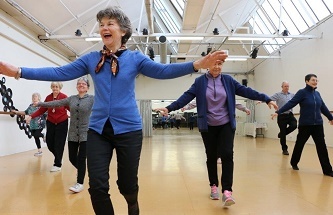 People diagnosed with these neurological conditions are seen by their registered nurses and physiotherapists, given relevant information about their condition and if appropriate, assessed and encouraged to attend physical activities tailored to their individual levels of ability. Multiple Sclerosis & Parkinson’s Canterbury are a not for profit incorporated society (Charities Services number CC20628). They run a specialised gym, a variety of self management programmes and a number of groups. Evidence shows that exercise is helpful for brain health, creating new pathways in the brain to slow or reduce symptoms. Physical activity also contributes to improving balance, strength and flexibility, which can be compromised in MS and Parkinson’s. Peer support groups provide social support and reduce isolation for people and their spouses/family members. All people in Canterbury with Multiple Sclerosis and Parkinson’s have the opportunity to reach their full potential. Other than a small amount of funding from the DHB, Multiple Sclerosis & Parkinson’s Canterbury rely heavily on funding achieved through grants, donations, bequests and a variety of fundraising activities and events. Donations are vital to the sustainability of the organisation and every small amount counts. You can help too, and it doesn't cost you anything extra. Simply book your stay with ezibed to help raise funds for Multiple Sclerosis & Parkinson’s Society of Canterbury. Your support is very much appreciated.